Beautiful Italian quality this wall hung 2 sliding draw basin cabinet is finished in a high gloss white with a cream marble worktop and designer Corian counter top basin. This contemporary bathroom furniture is part of a modular system with other draw units and wall storage cabinets also available. 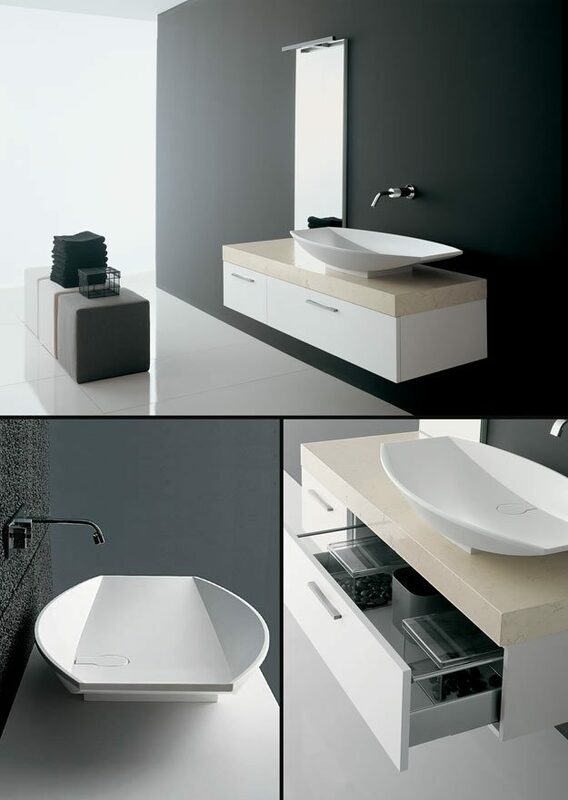 We also offer the basin cabinet in other colours and real wood finishes all to special order. L850 x W450 x H120mm. Oak, wenge, rosewood and zebrano plus white, cream, grey, black, chocolate brown, red, blue, duck egg blue, orange and bespoke colours. * Hi gloss, matt & wood finishes. * Soft closing sliding draws.